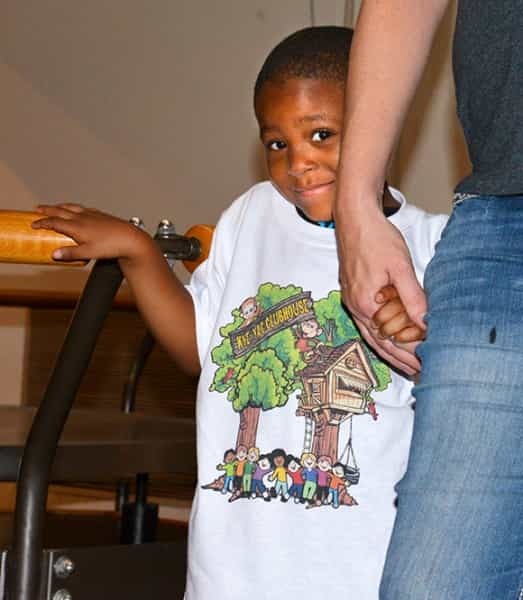 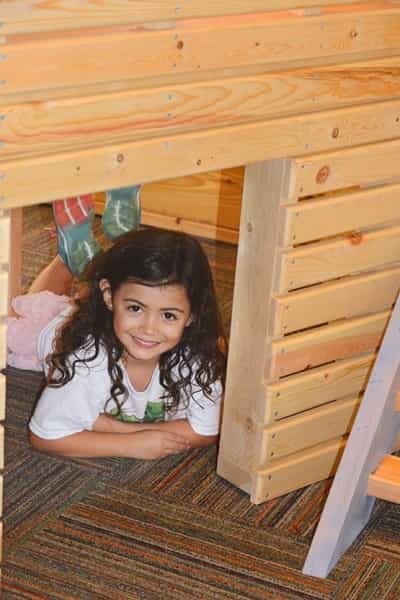 Join the hundreds of kids and families discovering the KYE-YAC CLUBHOUSE, the new gallery space named for KYE-YAC International—a philanthropic group, founded by Kye Masino, based on the principle of kids helping kids. 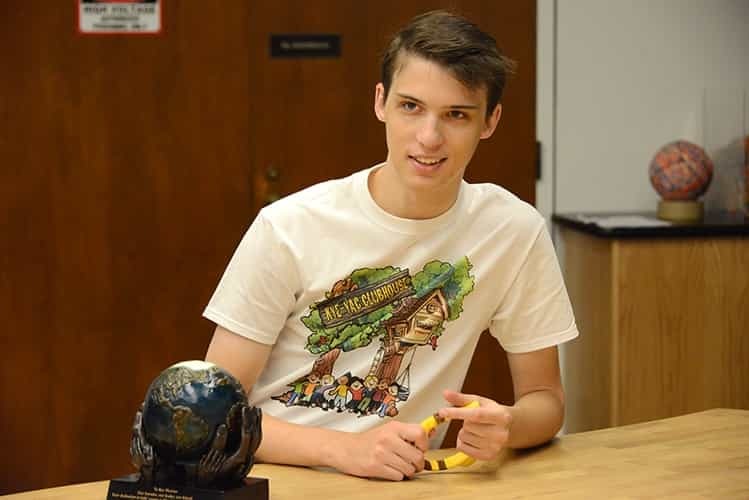 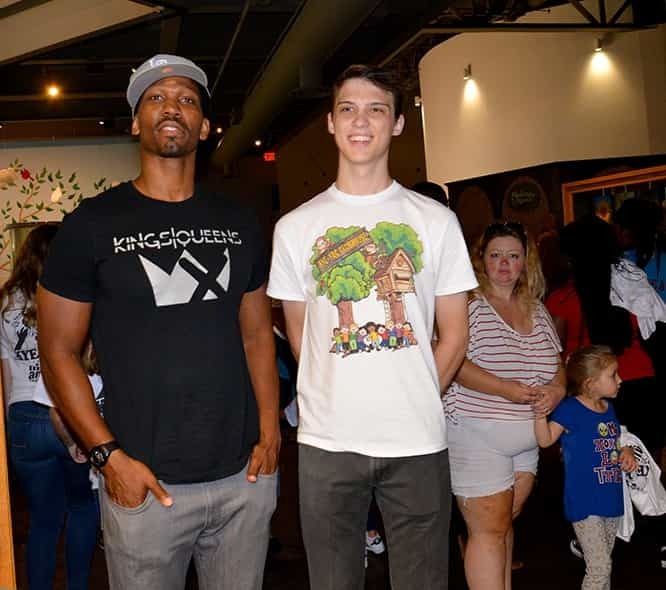 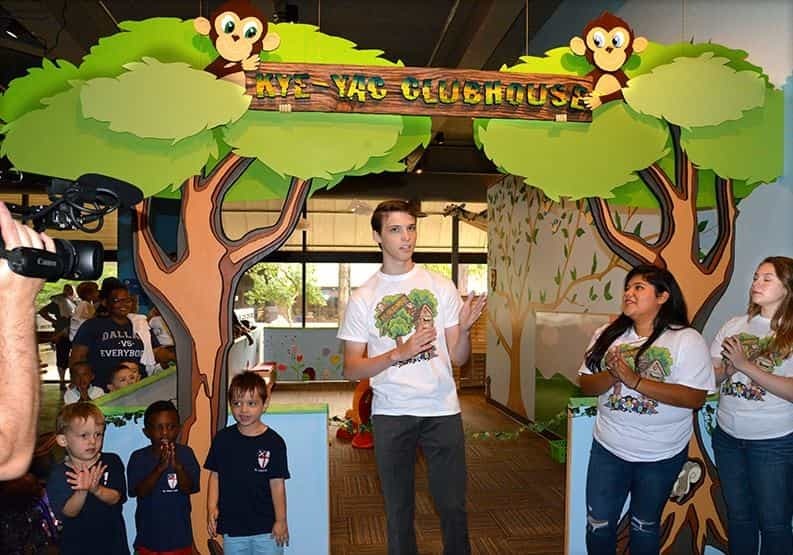 Masino and his foundation, KYE-YAC, International, are members of Jane Goodall’s Roots and Shoots program. 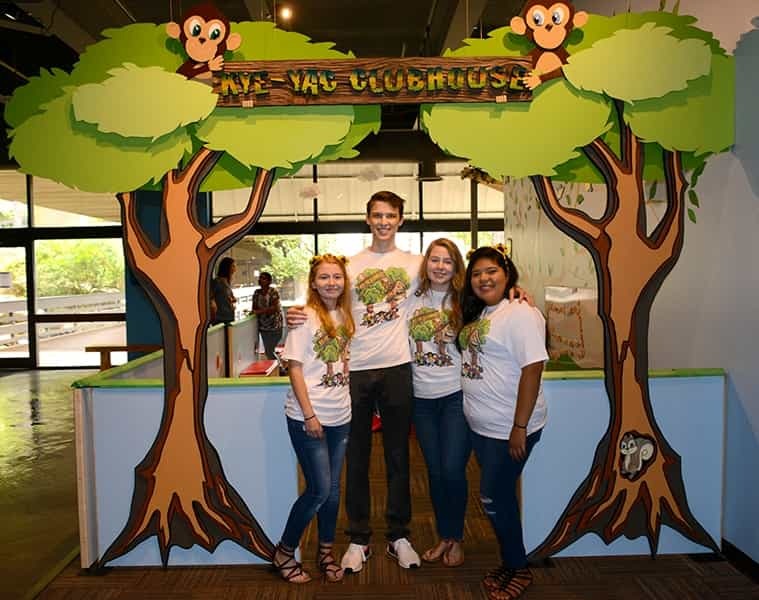 Together we seek to foster respect and compassion for all living things, to promote understanding of all cultures and beliefs, and to inspire youth to take action to make the world a better place for people, animals, and the environment. 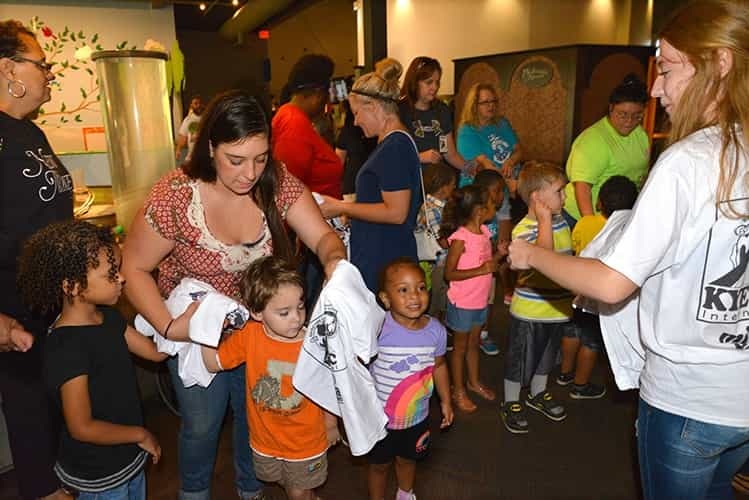 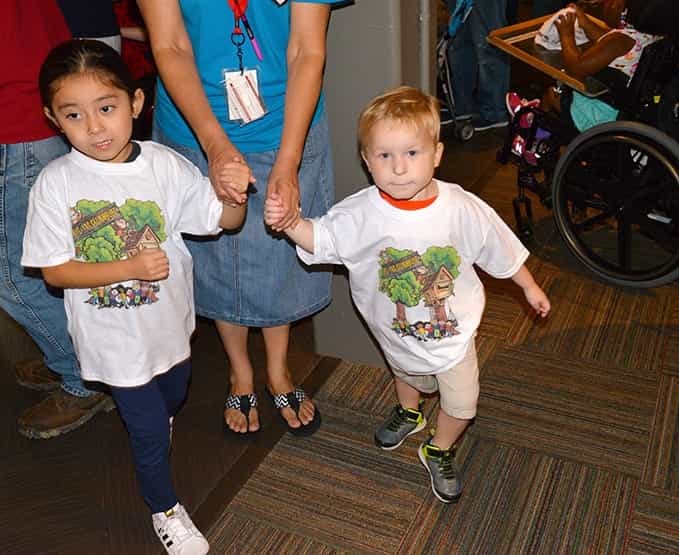 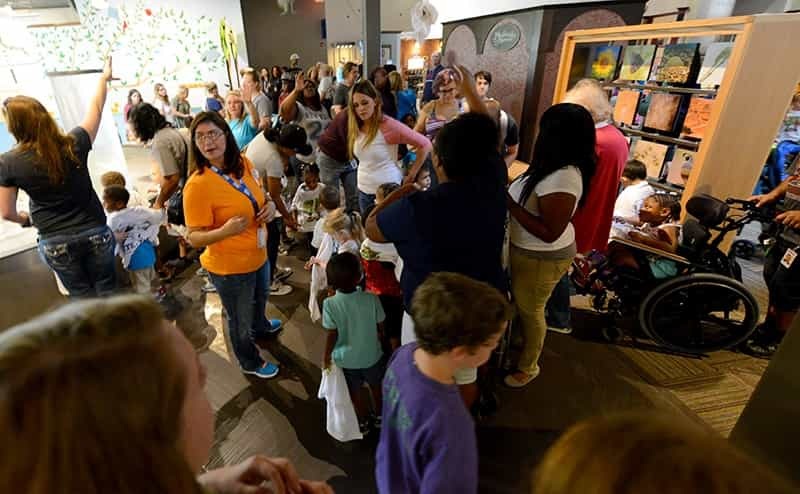 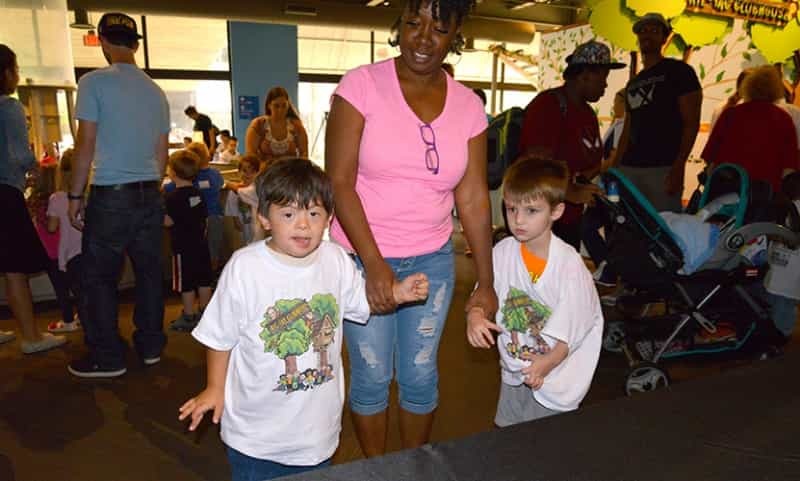 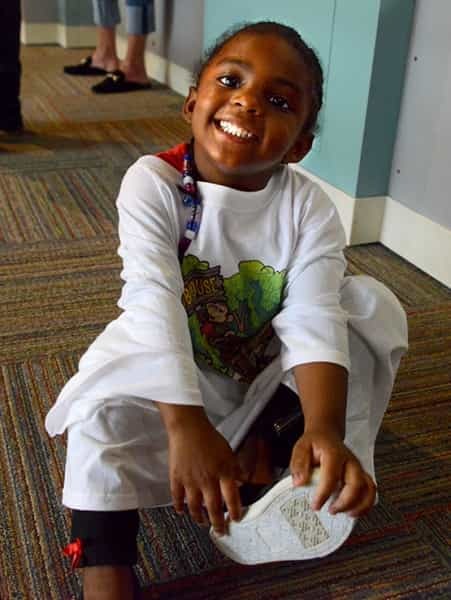 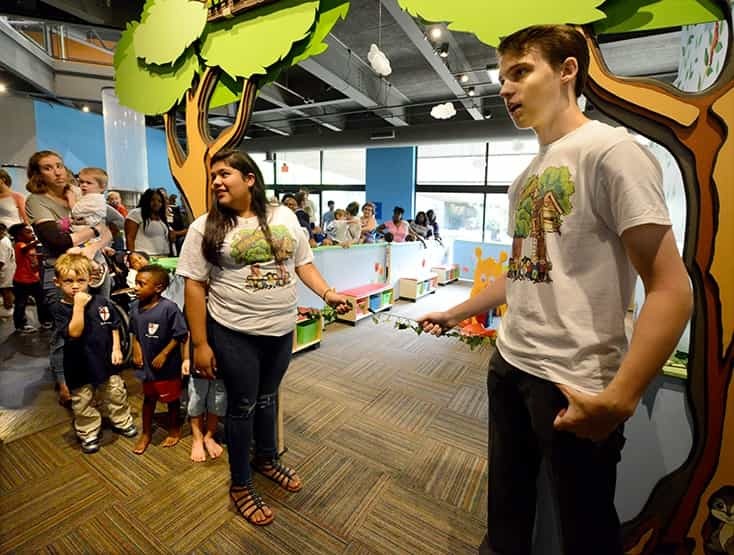 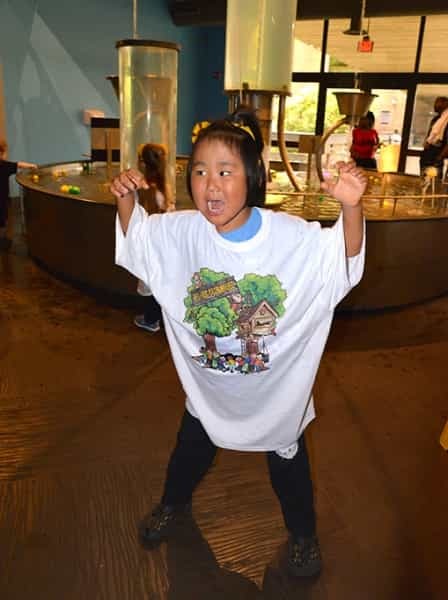 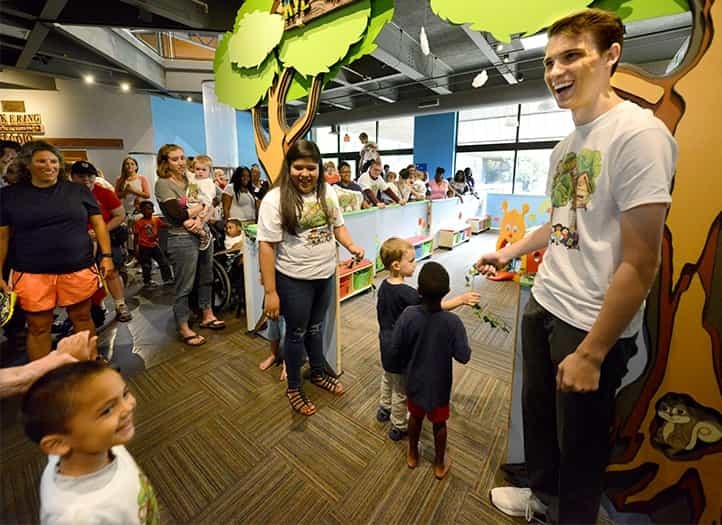 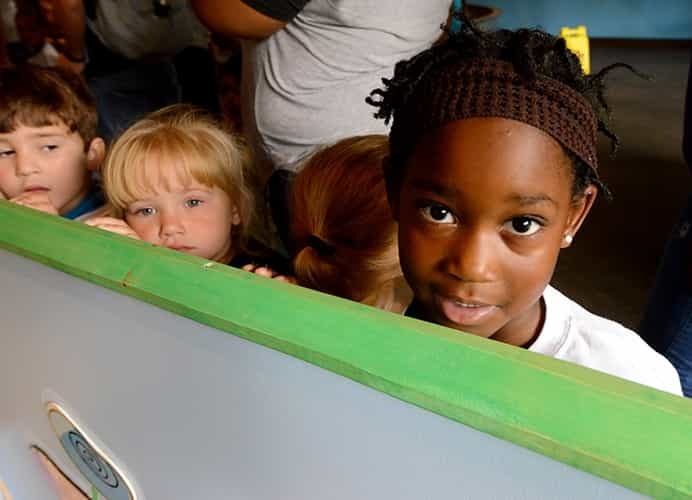 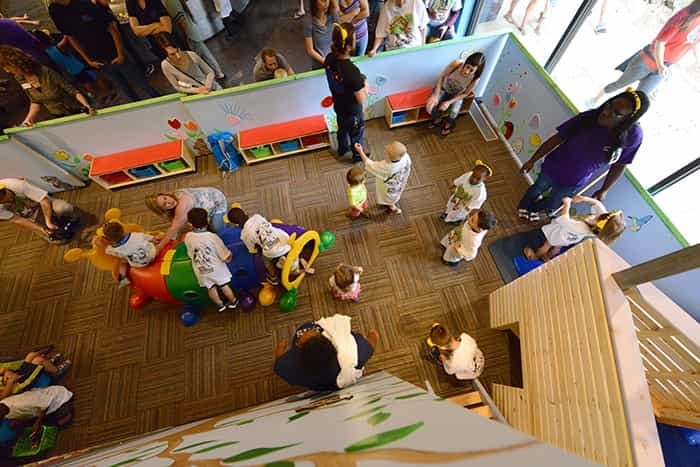 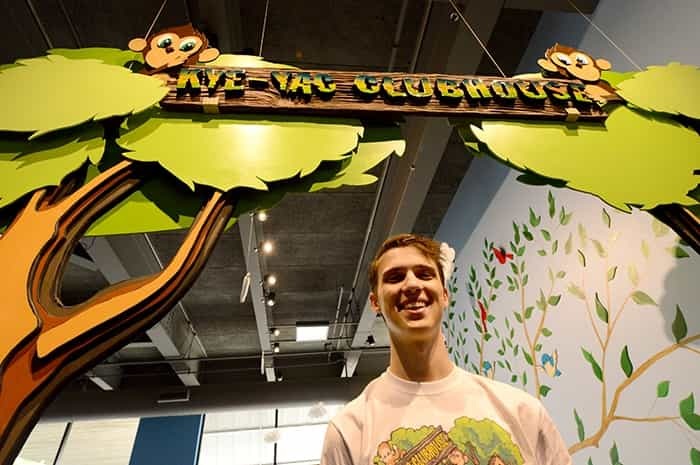 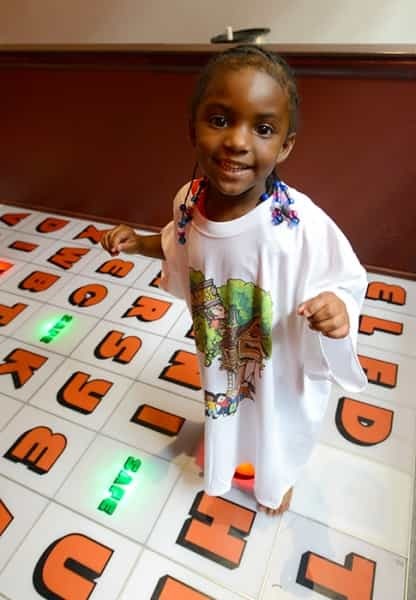 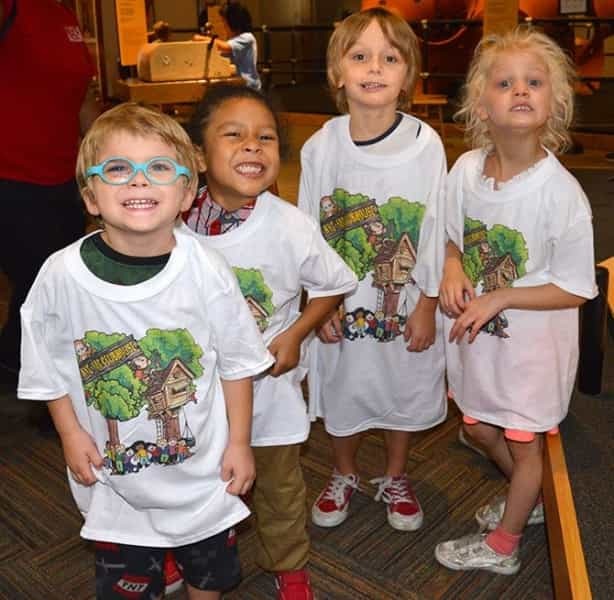 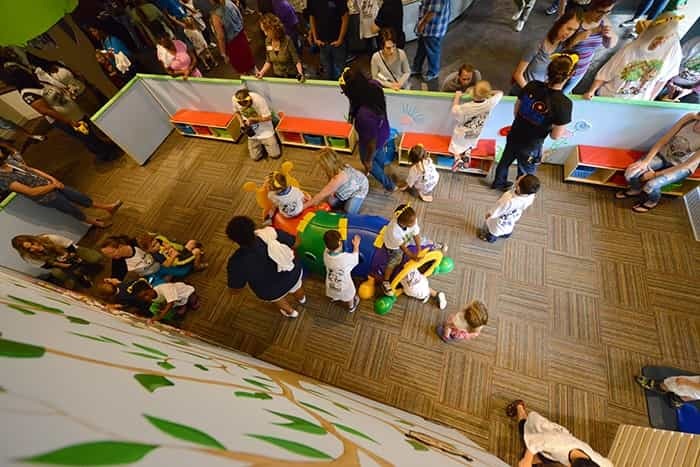 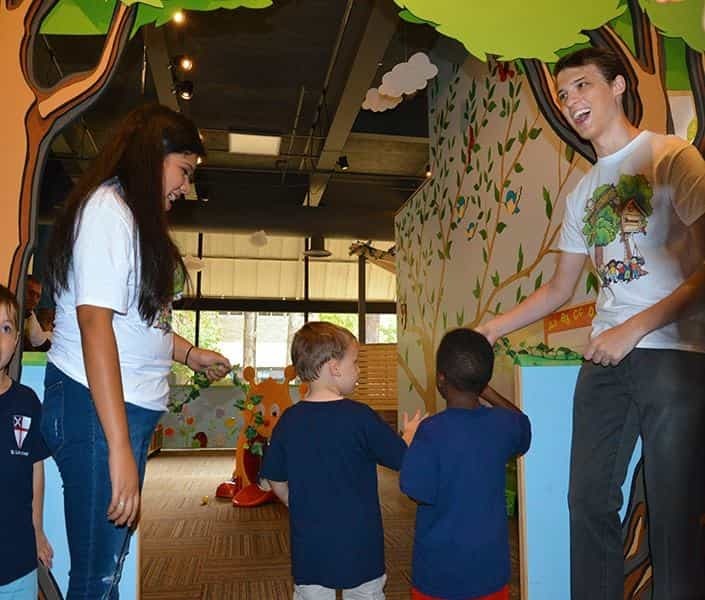 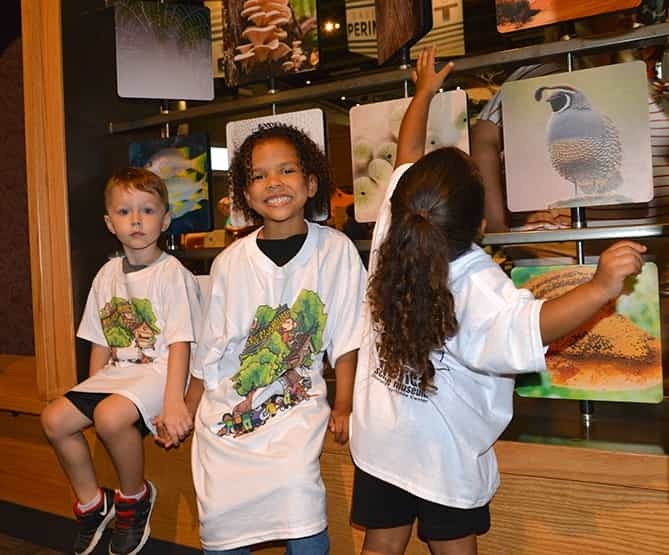 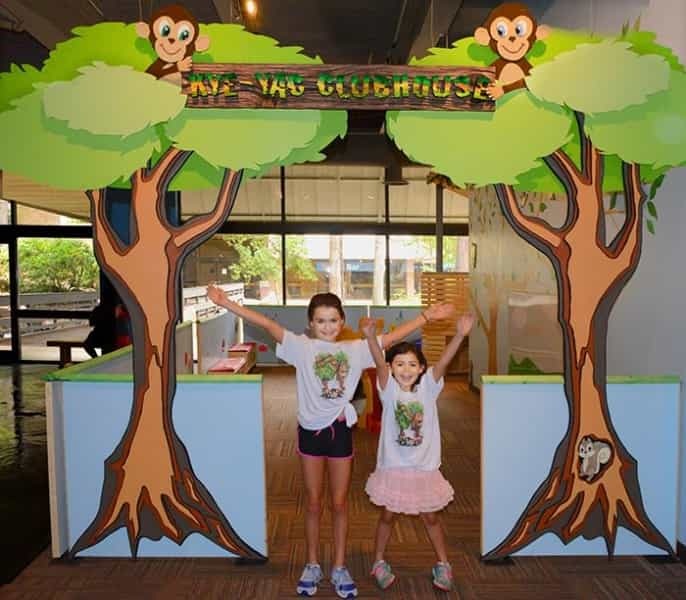 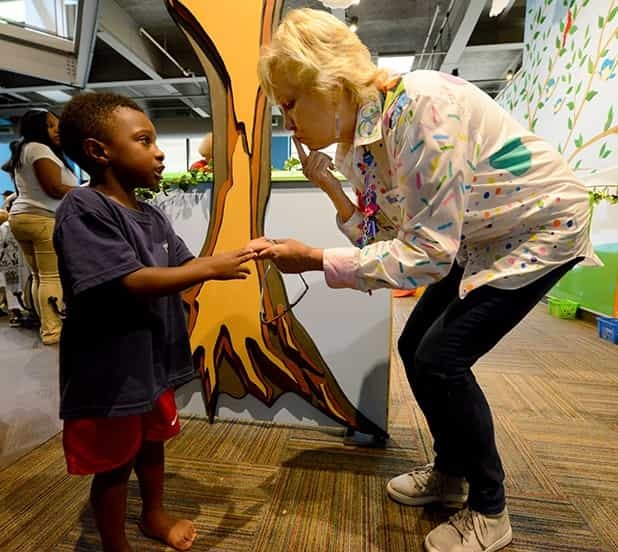 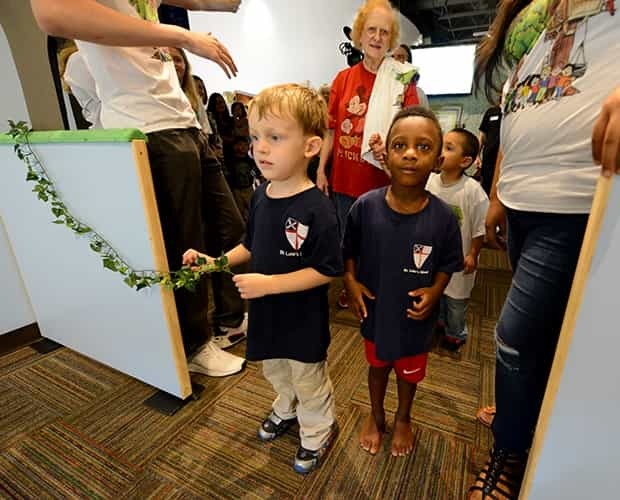 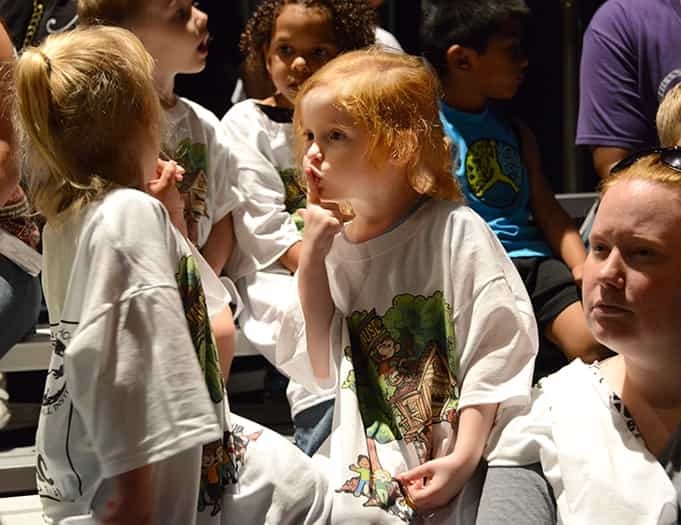 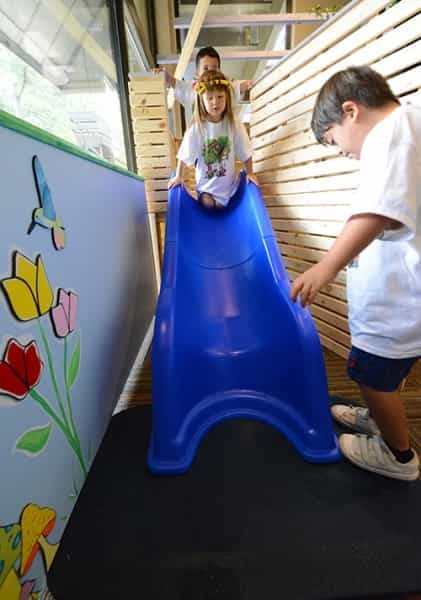 The KYE-YAC CLUBHOUSE, created to extend KYE-YAC International’s goal of empowering kids to help other kids, enhances the museum’s mission of youth developing a life-long interest in science. 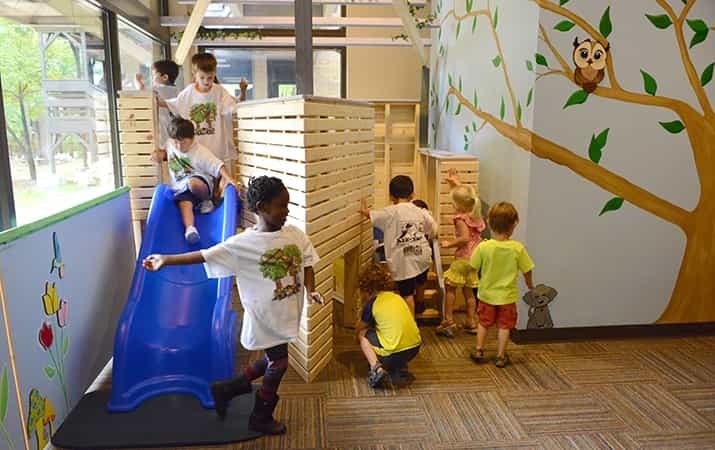 A central part of the vision for this project is derived from our work with the Jane Goodall Institute and the values of the Institute’s mission. 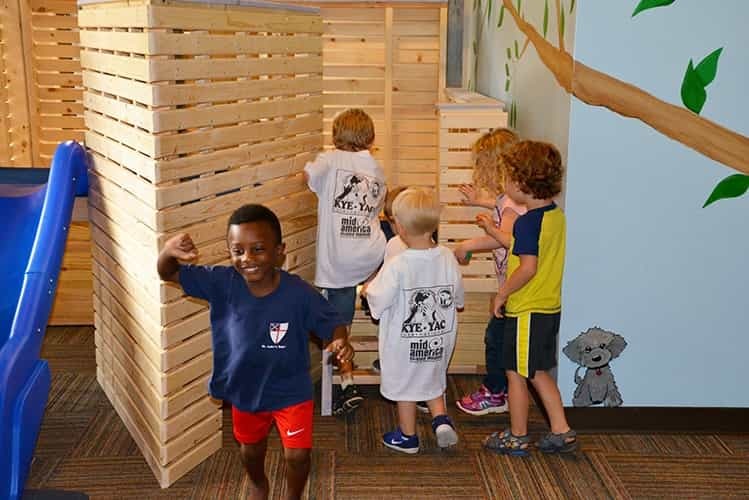 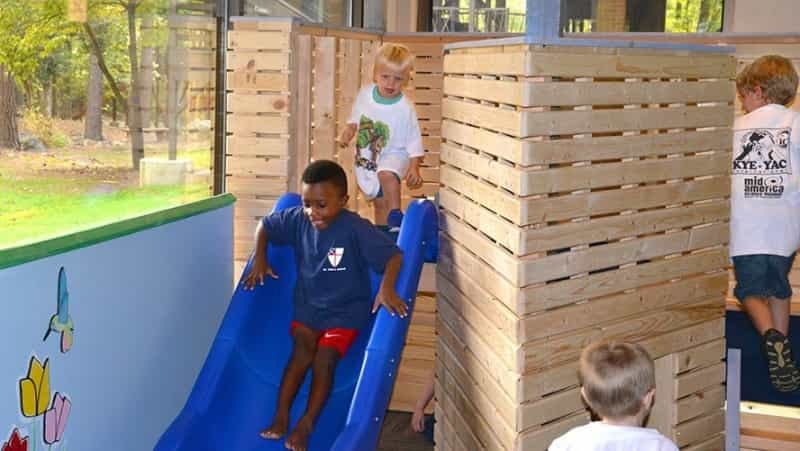 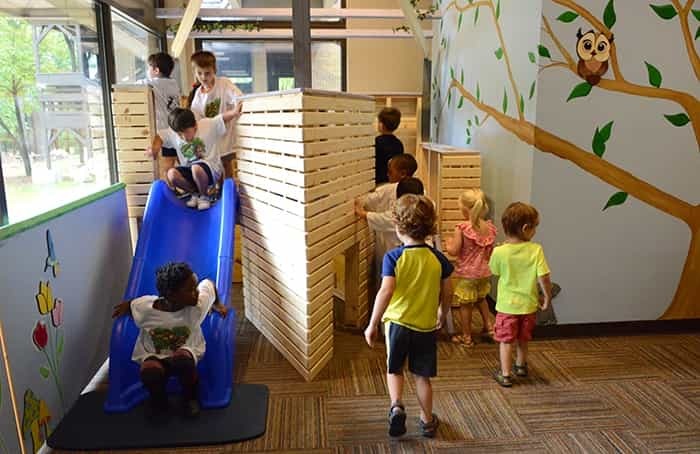 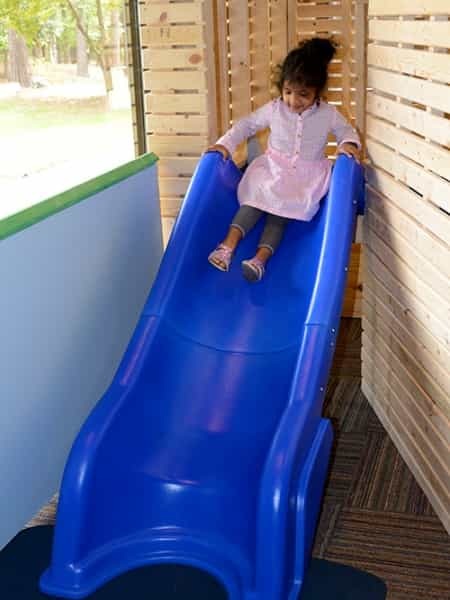 Designed specifically for encouraging preschool-aged children to meaningfully examine and experience the everyday world around them, the KYE-YAC CLUBHOUSE presents innovative learning opportunities in a safe environment. 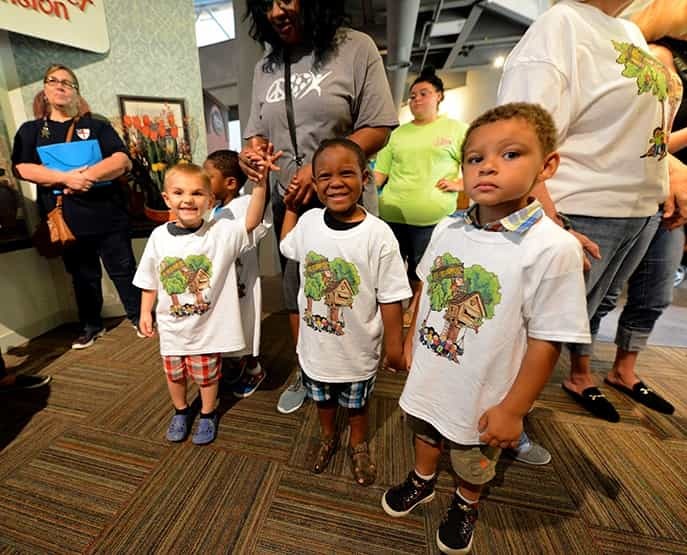 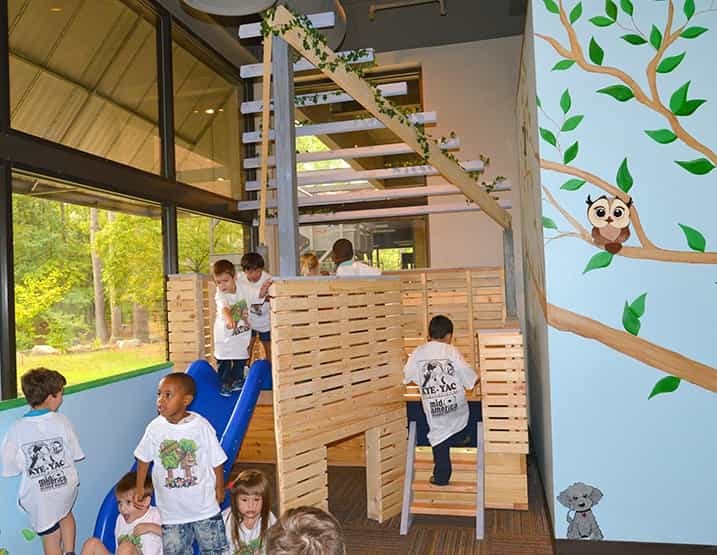 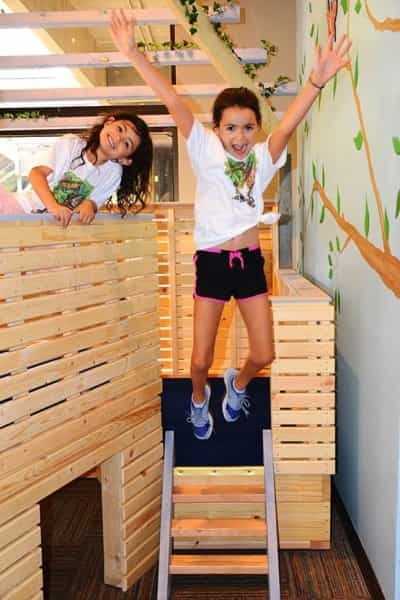 The focal point of the new exhibit is a unique “tree house” which toddlers can climb around and explore. 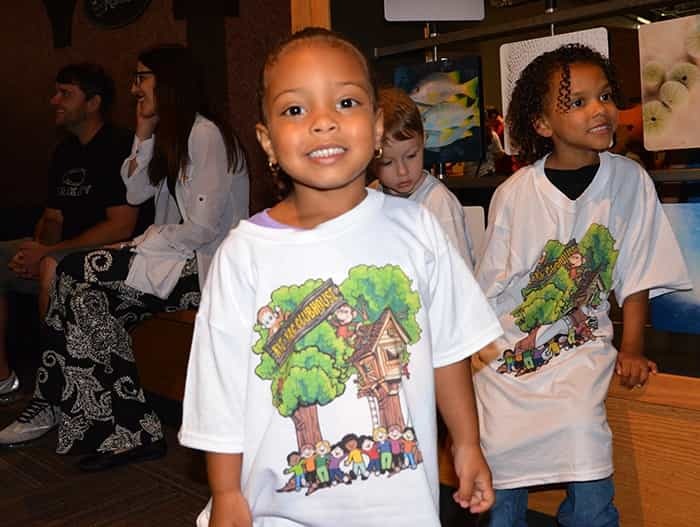 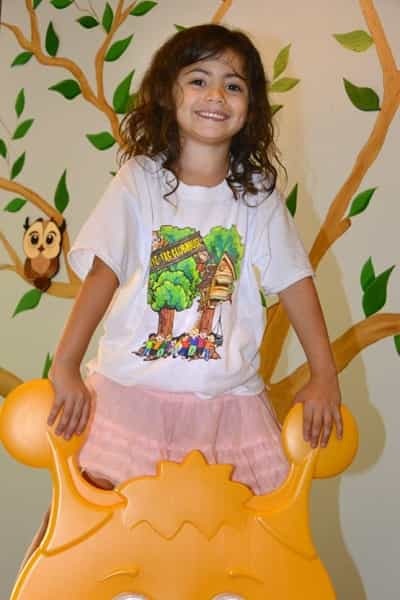 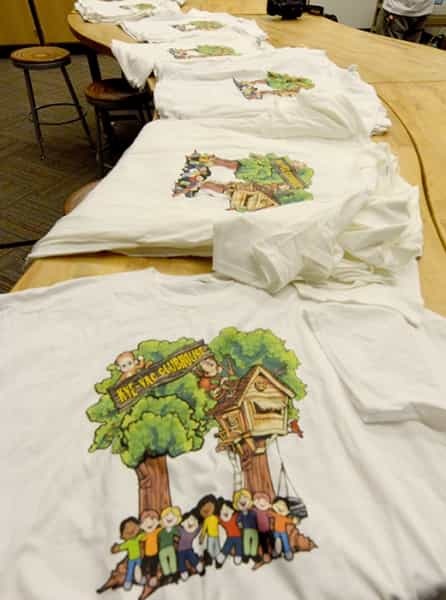 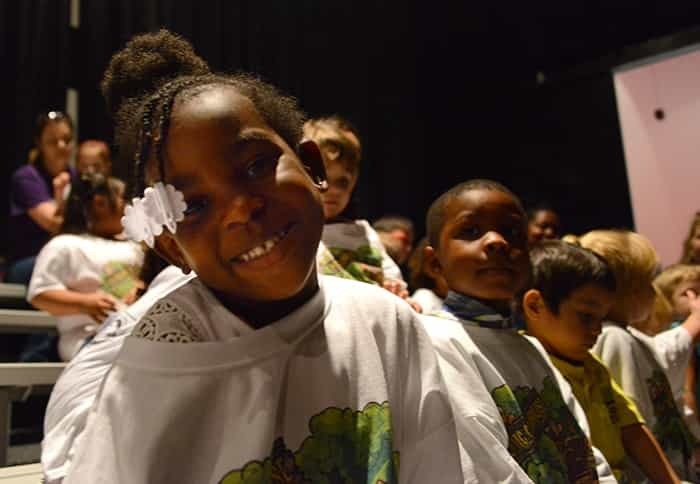 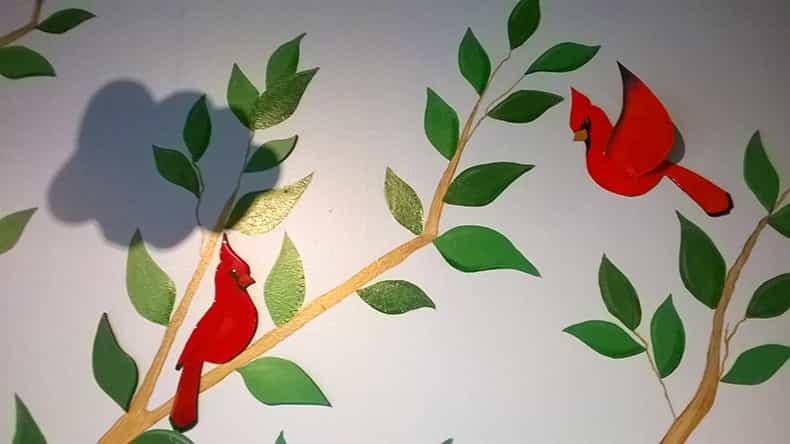 Next to the treehouse, local artists created an original mural depicting a giant tree with three-dimensional leaves filling the walls with native animals and birds – adding visual stimulation to further spark the curiosity of young “scientots” as they explore the world around them. 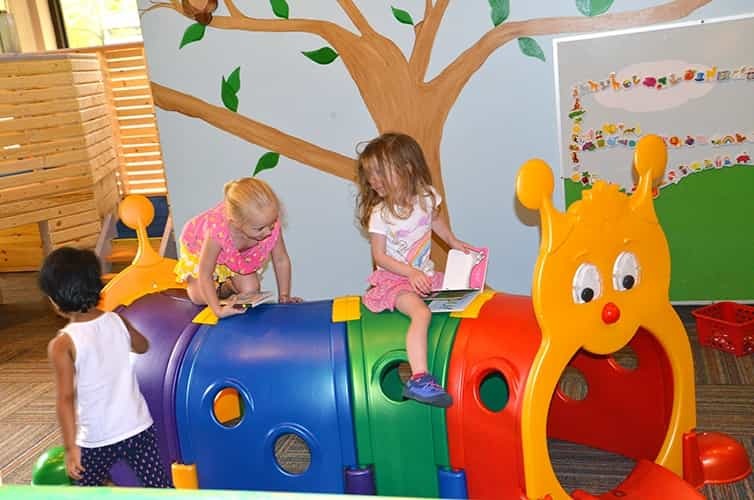 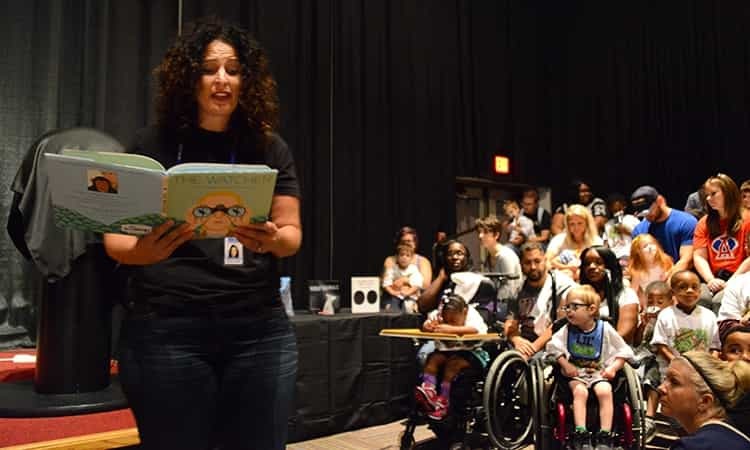 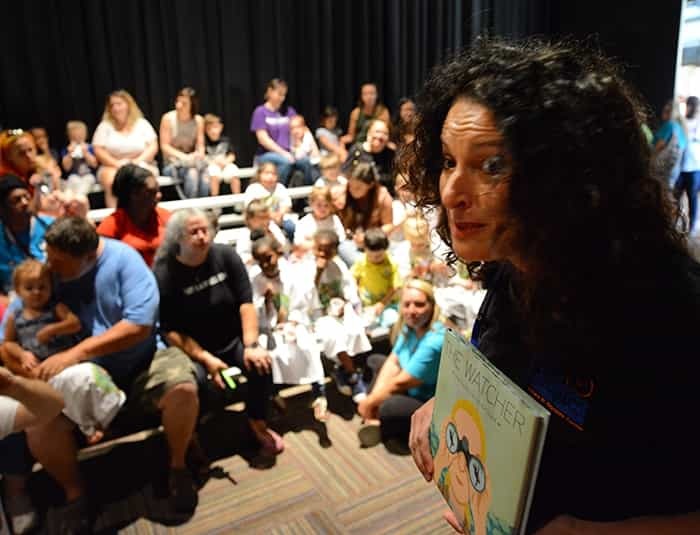 Age appropriate books foster literacy based learning and programs are held several times a week with science projects, crafts, reading, and play! 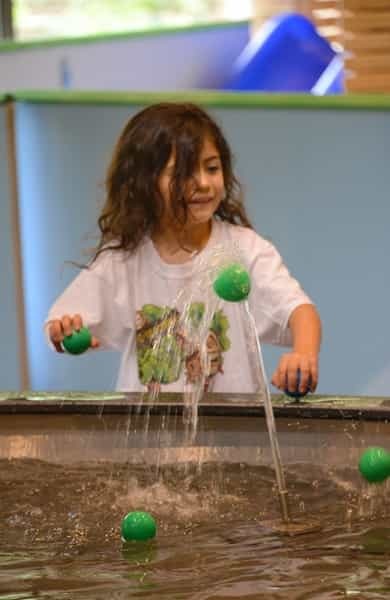 Situated next to the museum’s two-story water exhibit, the sounds of rushing water add to the theme of the natural outdoor setting. 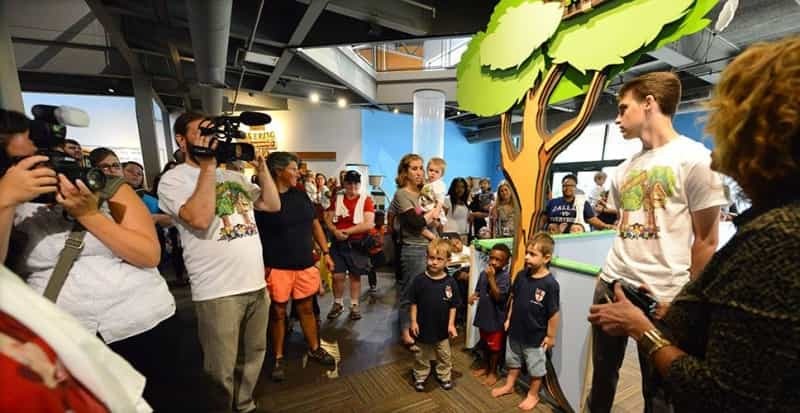 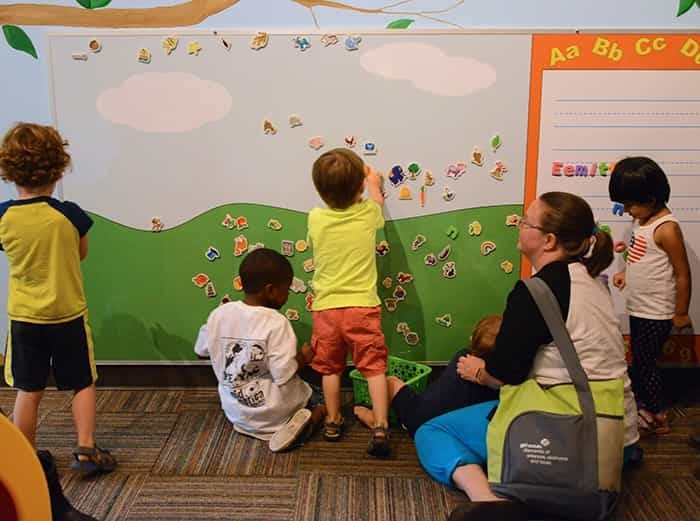 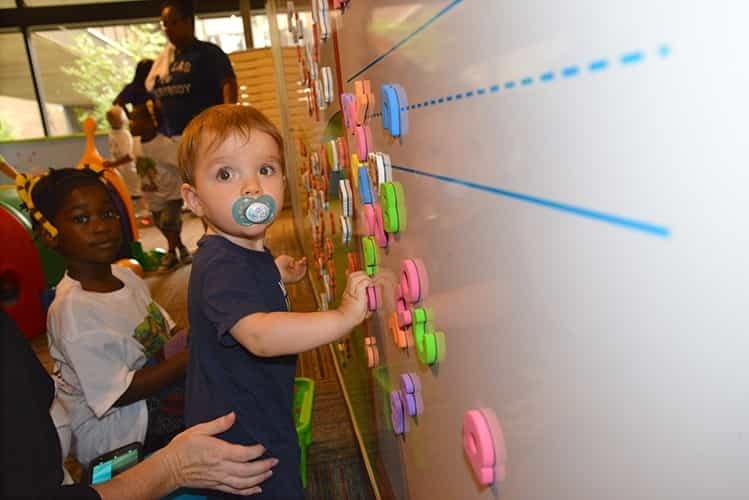 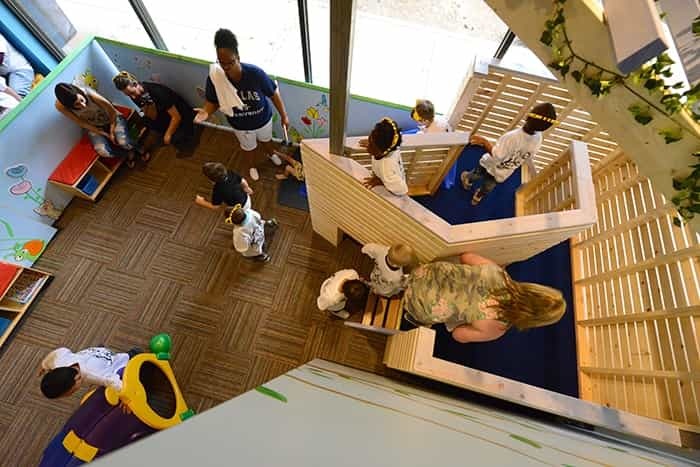 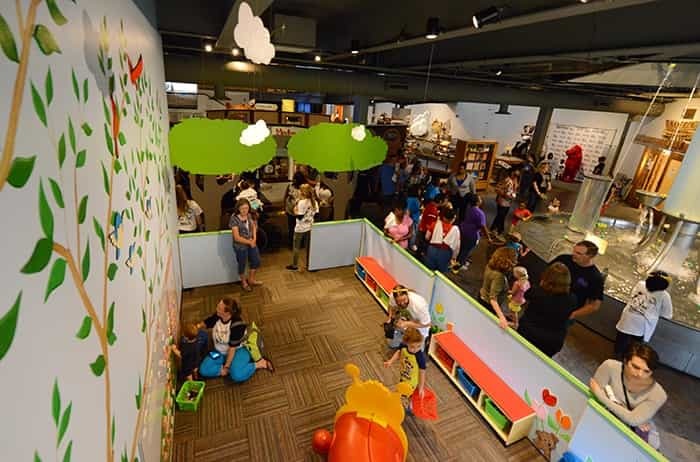 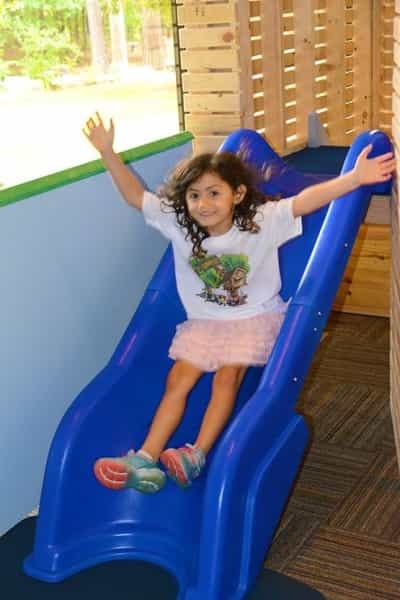 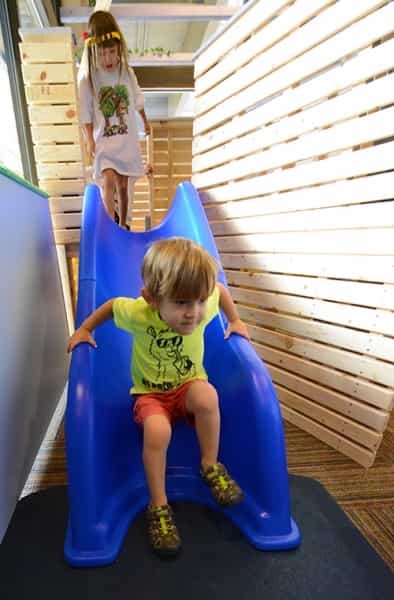 The CLUBHOUSE is a great addition to the museum as the young learning area provides younger children the opportunity to engage, imagine, create, and learn!